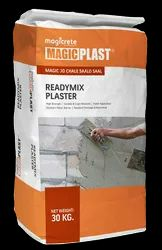 We are manufacturer & supplier of Building Construction Products and our product range are Dry Mix Products, AAC Block, Cellular Concrete Block, Jointing Adhesive, Mortar Adhesive, Gypsum Plaster, Wall Plaster, One Coat Plaster, Gypsum Powder and many more. 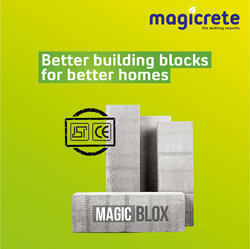 Magicrete Lightweight Blocks are demanded in the Construction Industry in western region of India due to its quality and prompt availability. Wall of more than 1000 esteemed projects of given various region are made of Magicrete AAC Blocks. Gujarat : Surat, Vapi, Navsari, Bharuch, Anand, Nadiad, Khambhat, Dahej, Vadodara (Baroda), Junagadh, Jamnagar, Gandhinagar, Ahmedabad, Mehsana, Gandhidham, Kutch, Porbandar, All parts of Gujarat. Maharashtra: Mumbai, Thane, Pune, Nasik and other places in vicinity of Pune / Mumbai. Other Places of India: Delhi, Rajasthan, Indor, Noida, Jabalpur etc.